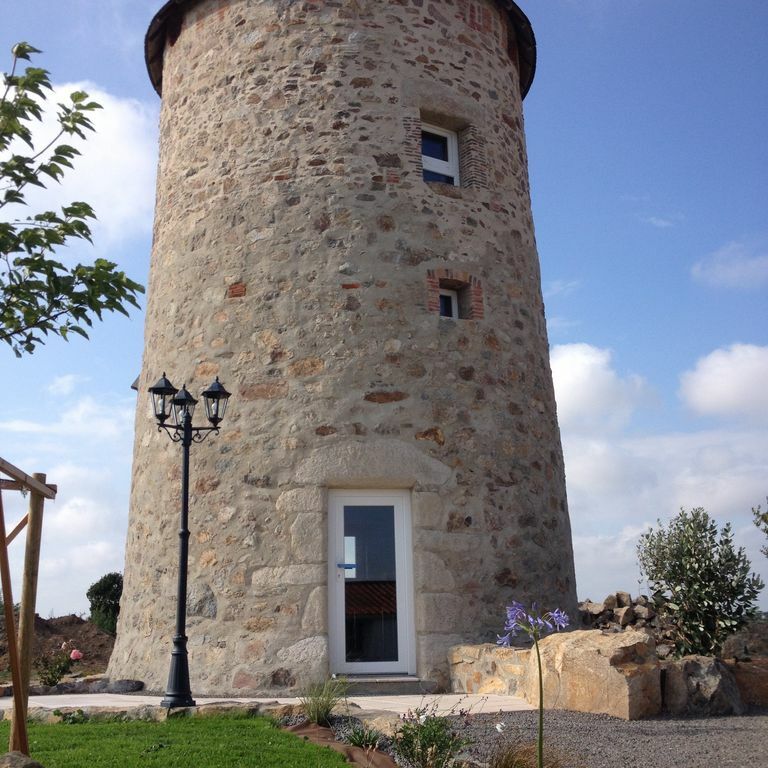 To rent a rare and atypical house: "Le Moulin de Vairé". The building has been completely renovated, located in a locality (Les Chanières) near the Sables d'Olonne and 8 km from the large sandy beaches monitored in high season. - On the ground floor: A fully equipped kitchen (fridge-freezer, dishwasher, ceramic hob, microwave) and TV. - 2nd and 3rd floor: 2 bedrooms with 4 beds including the master bedroom with TV. - The mill also has an independent terrace with table, chairs and barbecue available to travelers. - Provision of towels and sheets for 12euros / person for the entire stay. - In the summer season, bookings in full weeks are preferred. - Possibility to rent the entire property including '' The miller's house '' located a few meters for up to 4 people. - Cleaning costs: The cleaning is the responsibility of the tenants at the end of the stay. The cleaning fees charged during the reservation will be refunded after the inventory of the places of exit provided that the state of the premises is in conformity with that of arrival on the place. A full bathroom with walk-in shower, and heated towel rail in the comfort of the sturdy stones of the structure. - The Puy du Fou park 1 hour drive.